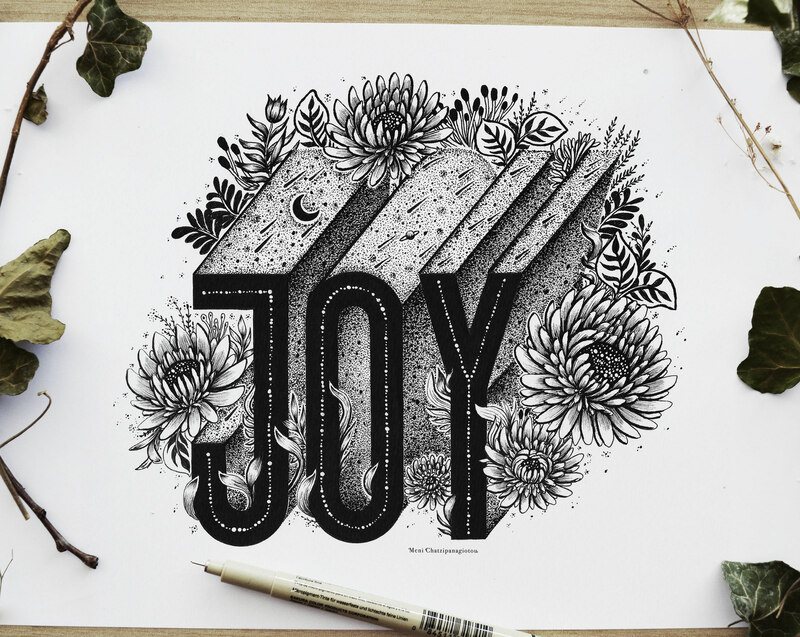 Let's take a deep breath of pure inspiration with the work of Meni Chatzipanagiotou, an illustrator and graphic designer from Thessaloniki, Greece. 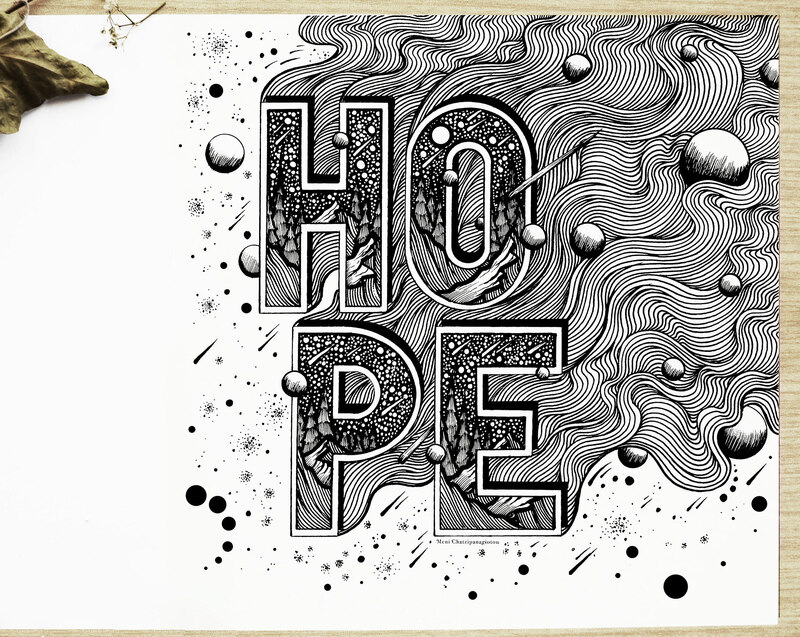 She has just released this beautiful set of lettering illustration hand drawn with pens and acrylic paint. 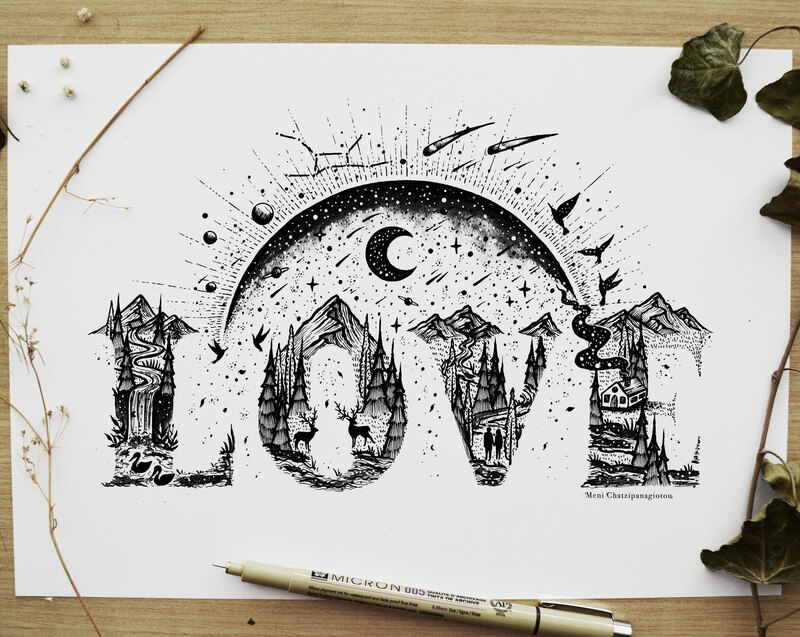 The results are just stunning to look at. 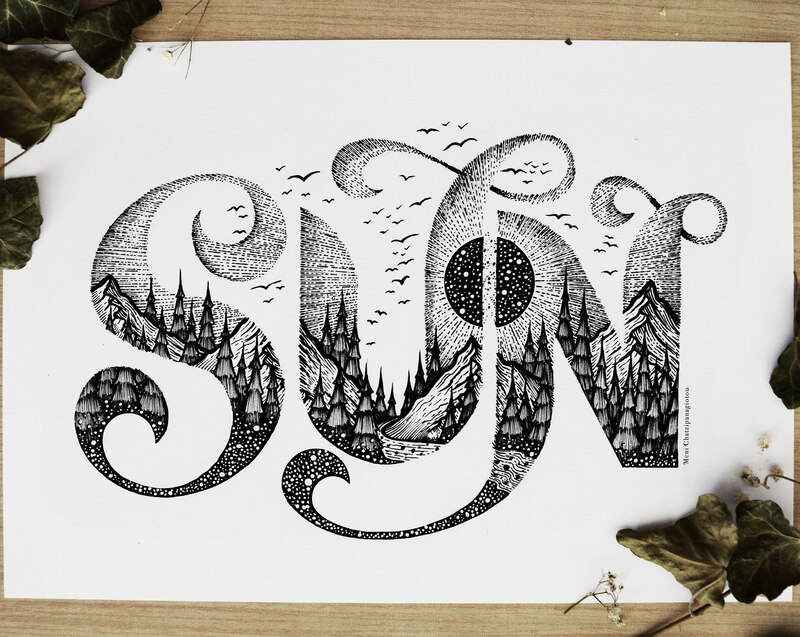 Aside from the shop, you can order your own custom name into an illustration by Meni herself. 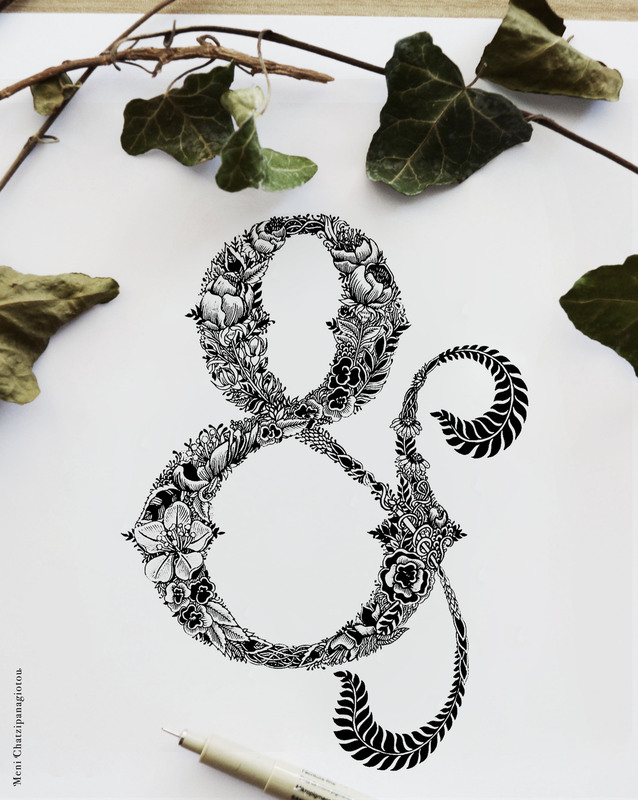 Check it out if you love her work and would love to find out more! 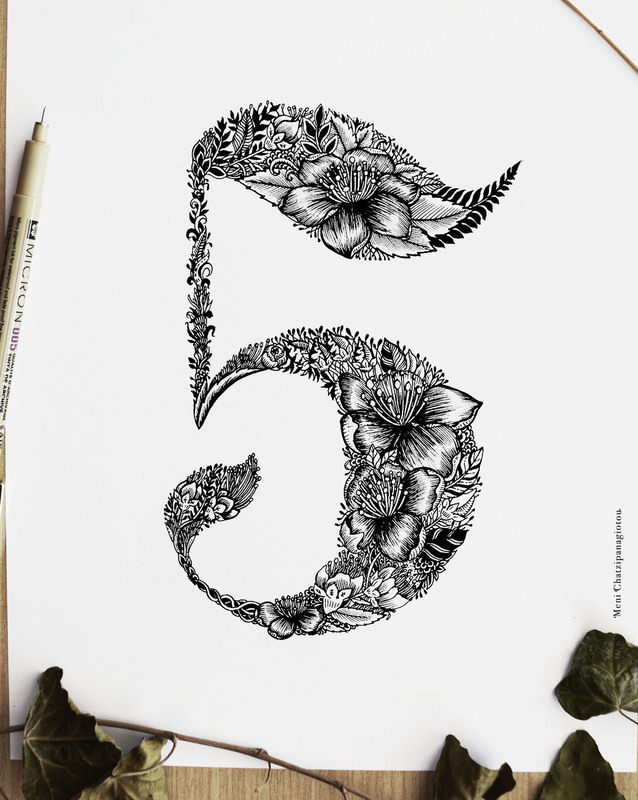 Congrats Meni and keep up with those creative adventures! 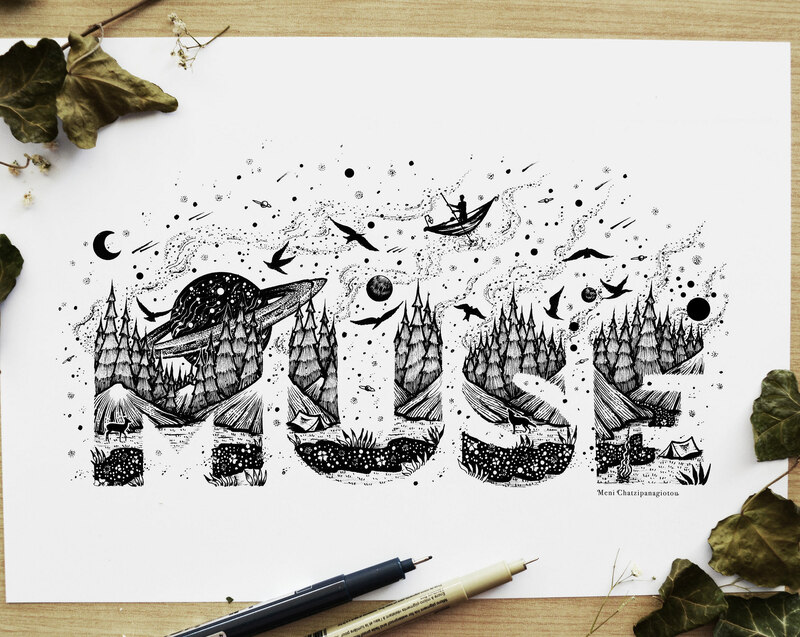 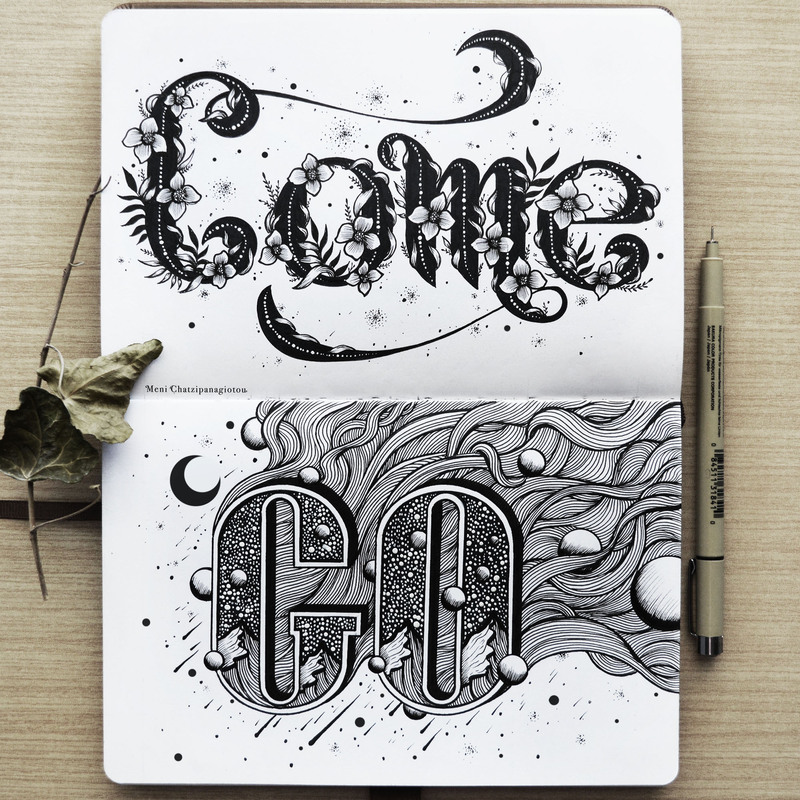 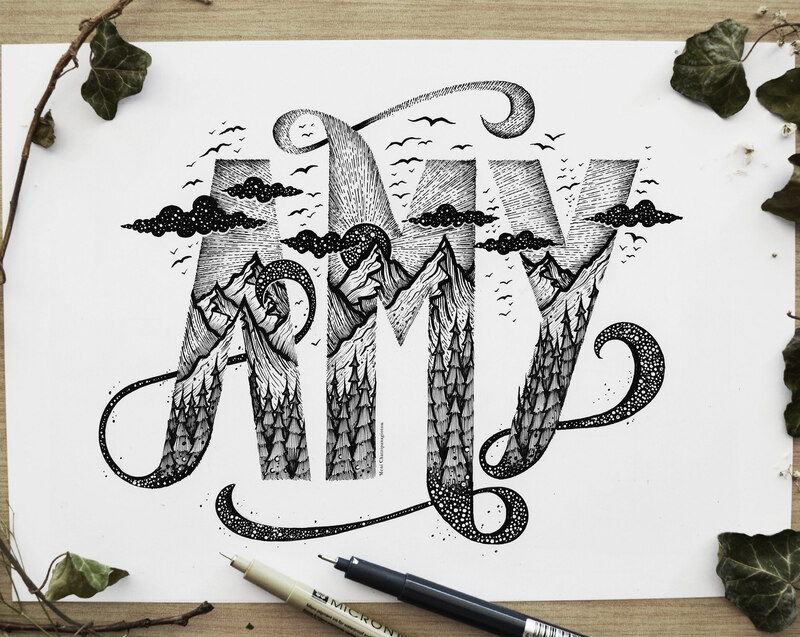 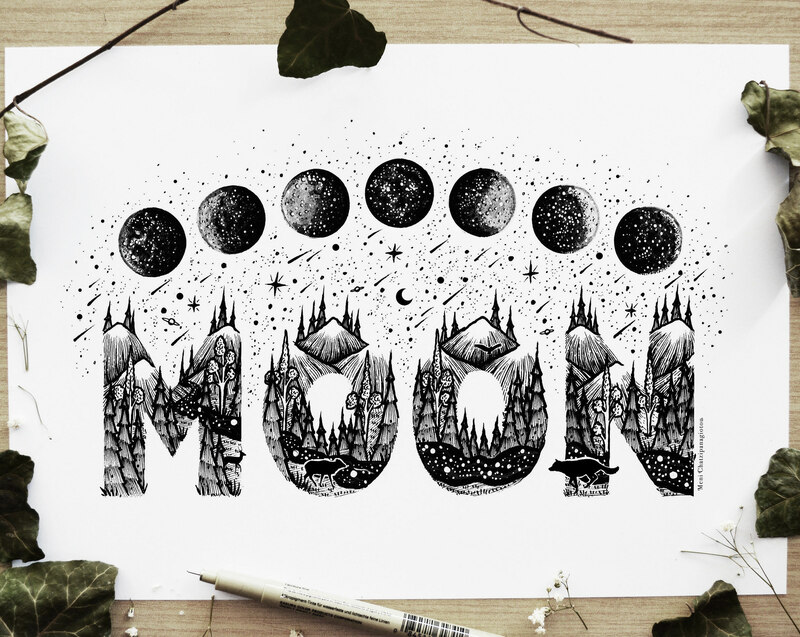 A collection of Lettering Illustrations. 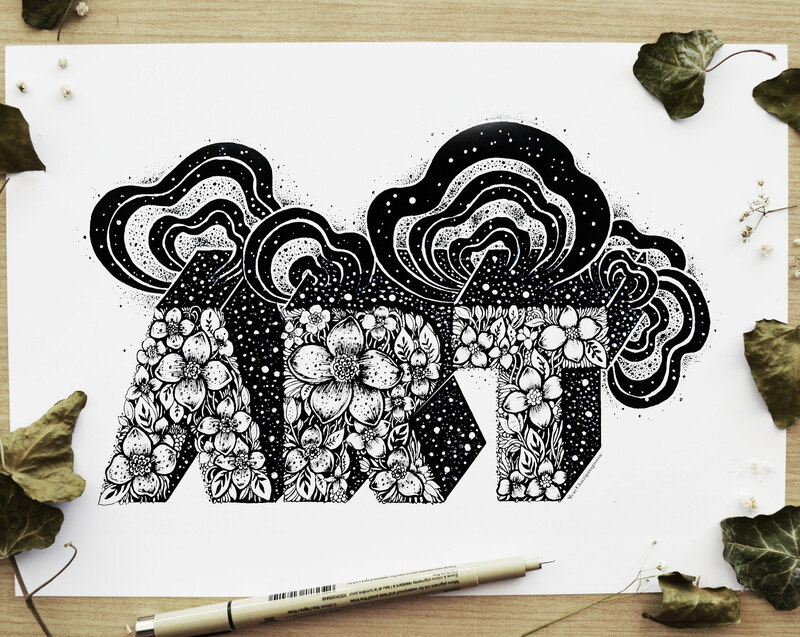 Fully hand drawn with archival pens and acrylic paint.